The annual Career and Internship Fair is coming up Oct. 6, and students and alumni are encouraged to both participate in the fair and prepare and plan accordingly. This is an outstanding opportunity for students and alumni to meet recruiters face-to-face, find out about internships and jobs, get invaluable practice networking with potential employers, and much more. 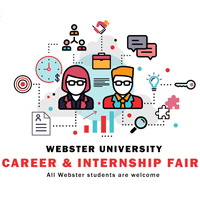 Students can walk in to meet with our Career Development team to have their resume critiqued, review the format of the fair, and gain other fair information. In the "Dress for Success" Workshop, participants will learn the difference between business casual and professional dress, plus learn affordable options for purchasing professional attire through this interactive workshop. On the day of the actual fair, Thursday, Oct. 6, 1-3:30 p.m. in the University Center's Grant Gymnasium, students and alumni should dress professionally and bring resumes.